Exterior sides and front are constructed of heavy gauge stainless steel. 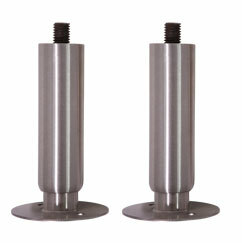 Exterior back and bottom are constructed of heavy gauge galvanized or optional stainless steel. Exterior digital thermom- eter. Square-cornered construction allows for continuous side-by-side line-up of cabinets. Cabinet is supported on heavy-duty, adjustable 6" legs. 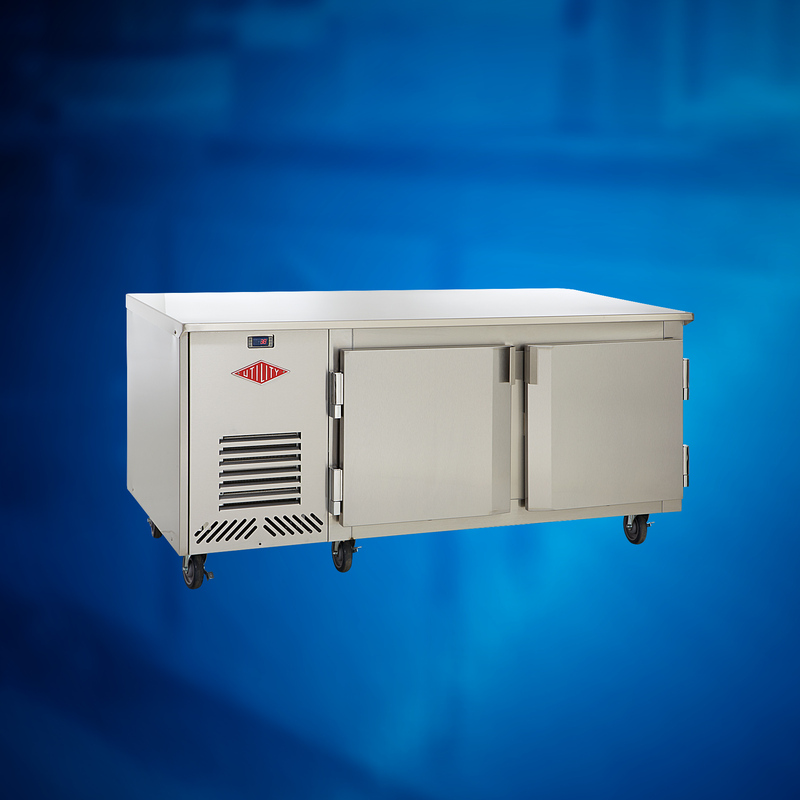 Cabinet body is 100% CFC free, foamed-in-place polyurethane insulation. All stainless steel construction with magnetic snap-in gasket. 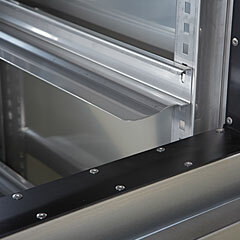 Door openings have built-in energy saving condensate heaters. One piece, stamped door handle with heavy-duty, built-in security cylinder lock. In order to prevent damage to door during installation, doors are equipped with self-closing lift-off cam hinges for easy door removal. Doors stay open at 120 degrees for easy access to interior. Insulation is 100% CFC free, foamed-in-place polyurethane. Standard door hinging is left door hinged left, center and right doors hinged right (other configurations available; please specify) . R-404a refrigerant. Thermostatic expansion valve for superior performance and efficiency, faster temperature recovery, shorter running time and lower energy consumption. Stainless steel compressor cabinet with all welded, stainless steel louver rails. Pressure control prevents compressor burnout in case of loss of refrigerant. Easy-to-use digital temp. control enables users to adjust setpoint between 35-40 degrees F.